This entry was posted on October 10, 2009, 8:06 AM and is filed under My Projects. You can follow any responses to this entry through RSS 2.0. You can leave a response, or trackback from your own site. This is an absolutely phenomenal Firefox Extension. I’m running it won Ubuntu Linux 9.10 and I’m really impressed. To date, I thought FireFTP was the best extension out there, but then I came across this little gem, and now with version 1.1! The addon modules all from within the interface is EXCELLENT! I’m a big FireFTP fan myself and your comment just made my day! If you haven’t already tried the Ubiquity support, do checkout the Ubiquity video. I’m really happy to hear you like the new book manager, I should have put it in some time ago, thank you! It would be really nice if FireBible could be made to work with the Firefox addon called Session Manager. 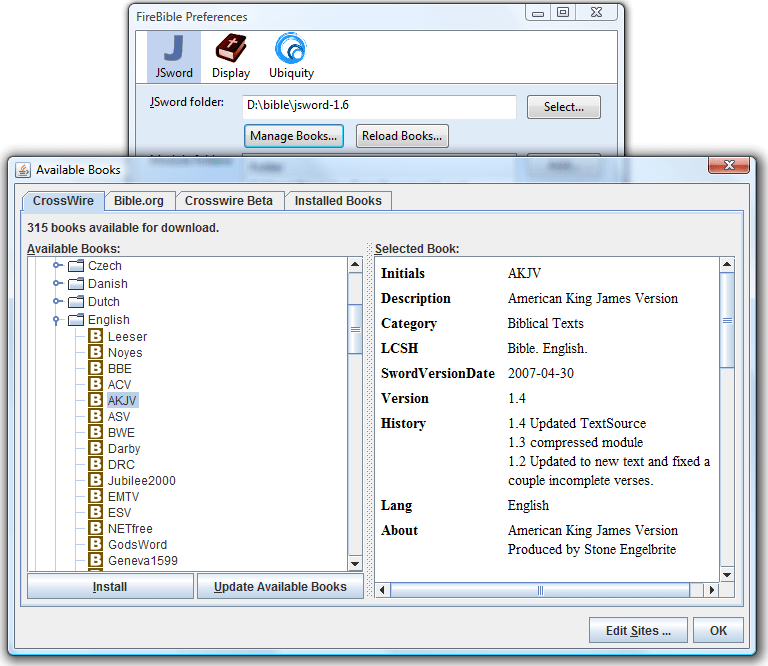 The FireBible toolbar state is not remembered when you save a session, so when you reload a session, it doesn’t know what to load for the FireBible tabs or windows. This really is a great software tool! It can be helpfull in many ways, and it really works well. Haven’t’ had any problems with it so far, which is quit unique… Thanks! I’m absolutely in LOVE with the download feature, I don’t know why they didn’t think of it to begin with! Typically with new releases in software, new bugs appear or things have disappeared, I haven’t really noticed that yet, has anyone else? 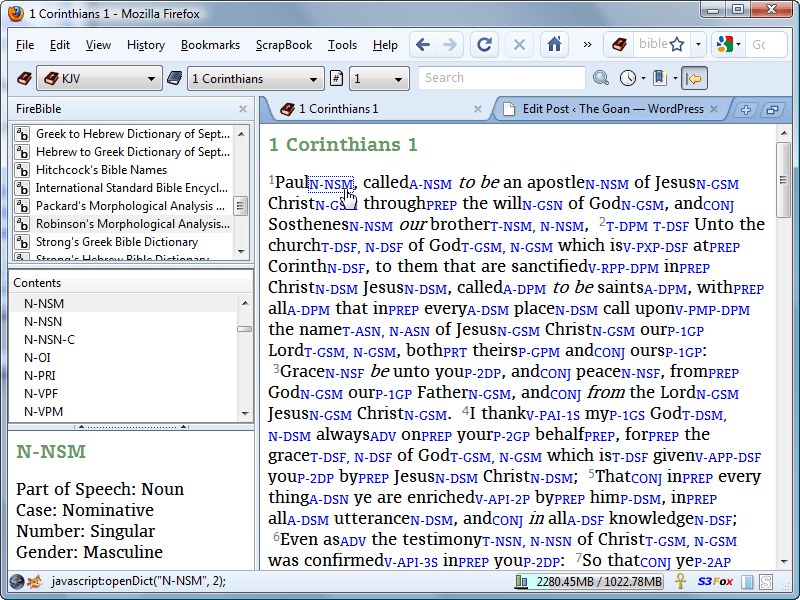 This software is just perfect for any christian leaders or preachers. Although, I am also using one similar software now. Anyhow, FireBible 1.1 is still perfect. 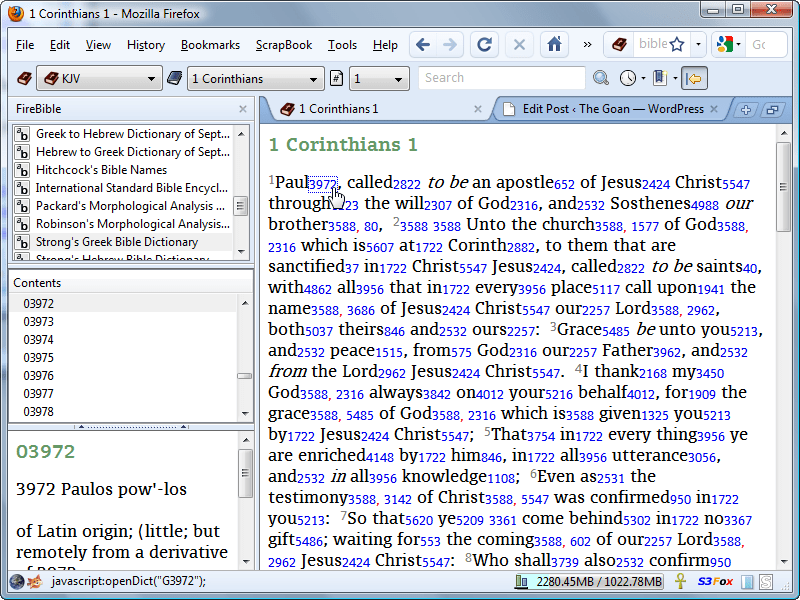 What an excellent tool for studying the Bible. I will definitely introduce it to my Bible study group. They are all clued up with the internet and dedicated christians. We could use Firebible for our next project. The best software I’ve ever seen. I just love it because of its uniqueness. A truly food for the soul that uplifts us spiritually. Its continually touching anybody’s life..superb! That is genius. Now we just have to convince every hotel room to switch from the bible in a drawer to firebible on a screen.